Latin for 'with few leaves'. Aglaia oligantha C.DC. in DC. 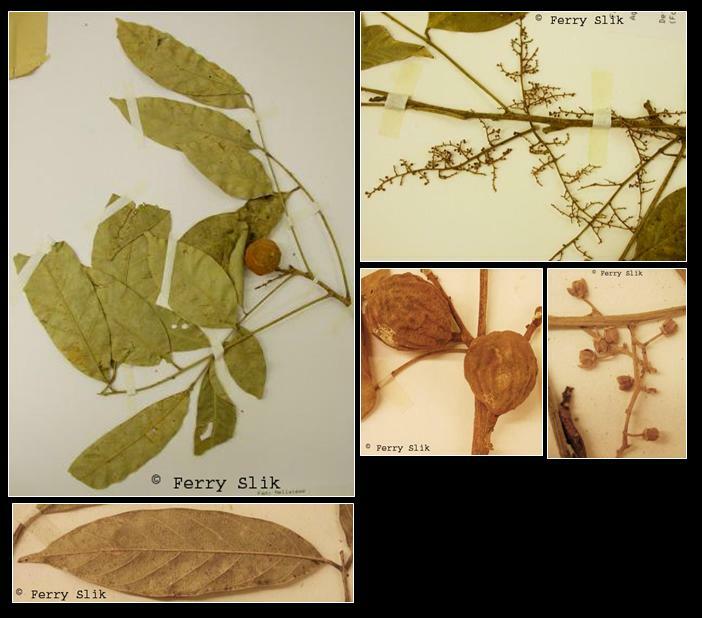 Found in deciduous and evergreen primary forest, secondary forest, swamp forest, riverine forest and in kerangas; on limestone, granite, basalt, sandy loam, clay; sealevel to 830 m altitude. The aril around the seed is edible. The wood is used as timber. Indo-China, Thailand, Andaman Islands, Peninsular Malaysia, Sumatra, Java, Borneo, Philippines. Borneo: Langsat monyet, Sadapan luau, Segera. Peninsular Malaysia: belangkas hutan, pasak lingga. Philippines: manalau, potian (Tagalog), ansa (Pangasinan).